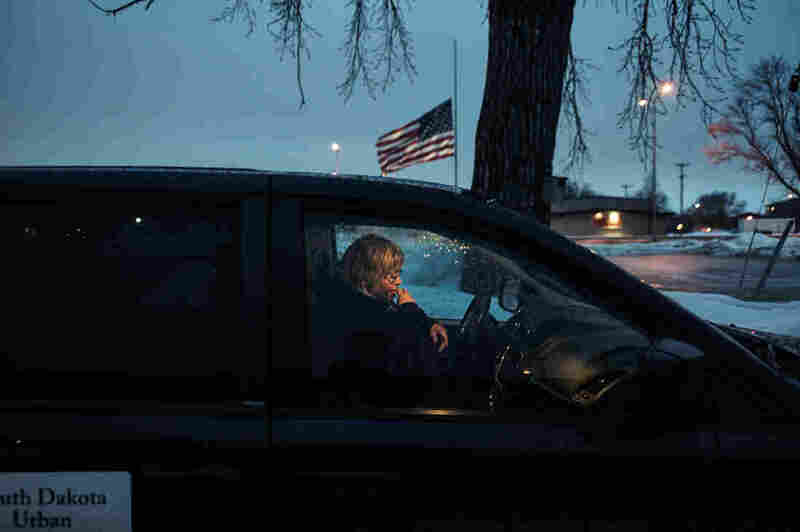 South Dakota Indians Find Getting Health Care Can Be A Struggle For Native Americans on South Dakota's Cheyenne River Indian Reservation, it can take weeks to get in to see a doctor and hours to get an ambulance after a life-threatening injury. In January, Cody Pedersen, 29, was stabbed in the neck. It took the ambulance over two hours to arrive in Cherry Creek, where he lives. It's in the Cheyenne River Indian Reservation in South Dakota. Cody Pedersen and his wife, Inyan, know that in an emergency they will have to wait for help to arrive. 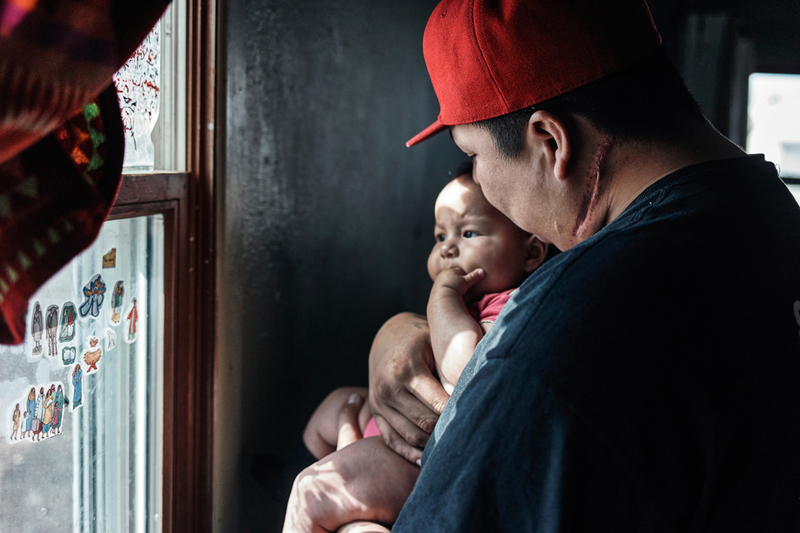 Cody, 29, and his family live in Cherry Creek, a Native American settlement within the Cheyenne River Indian Reservation in north central South Dakota. The reservation is bigger than Delaware and Rhode Island combined. But Cherry Creek has no general store, no gas station and few jobs. When Inyan, 34, was preparing to give birth to her two youngest children, doctors scheduled her to have cesarean sections in a hospital rather than having her wait until she was in labor to come in. In January, Cody was stabbed in the neck. It took an ambulance two hours to arrive. The road to Cherry Creek is 17 miles of gravel and is often inaccessible in harsh South Dakota weather. 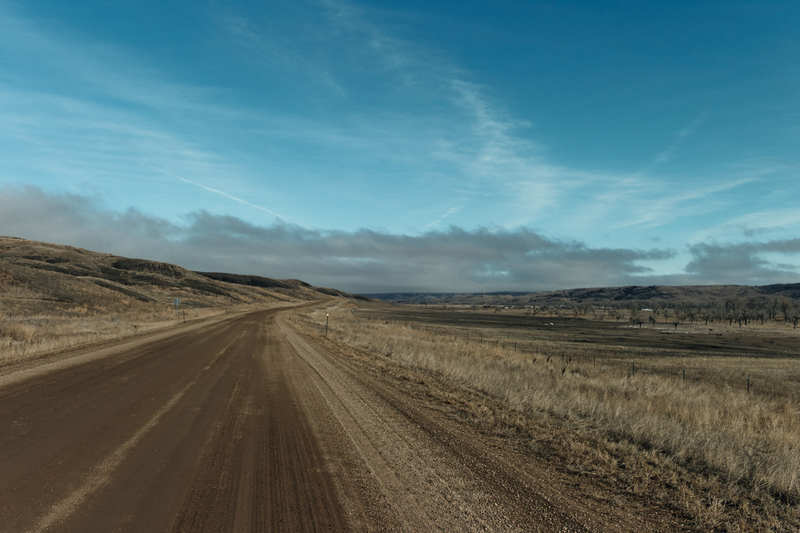 A 17-mile gravel road in Cherry Creek connects to a better road that eventually leads to Eagle Butte, the largest town on the reservation and home to just over 1,300 people. That's where the closest doctors are. When Cody runs out of gas money, he has to pay $40 to a neighbor to take him to the health center in Eagle Butte. But he can't do that before lucking out and securing an appointment, calling at 7 a.m. on the day he wants to see a doctor. Clinics like the one Cody goes to don't allow patients to schedule appointments in advance. There's a clinic in Cherry Creek, but it has been closed for weeks. Their 11-year-old daughter Makrista missed school for two weeks because they couldn't get a doctor's note to vouch that her head lice had gone away. Before the 1950s, most Native Americans lived in reservations or near them. Then, with support from the federal government, many started moving to large cities, looking for employment opportunities and better education. Today, more than half of Native Americans live in urban areas. The federal government is obligated by law to provide medical care to American Indians and Alaska Natives, and it does so through the Indian Health Service, an agency of the Department of Health and Human Services. There are also tribal-run health centers set up on reservations. And 20 states have Urban Indian Health Programs, which receive IHS funding to provide medical services and support to American Indians who don't live on reservations. Every Tuesday, Edie Hoff, an Urban Indian Health clinic nurse, drives over 100 miles from Sioux Falls, S.D., to Wagner, site of the nearest Indian Health Service clinic. She picks up free medicine for Native Americans who are still registered as residents of the reservation but live in Sioux Falls. But there are still significant gaps in care, both on the reservation and in town. The IHS is chronically underfunded. It receives a set amount of money each year to take care of 2.2 million native people — no matter how much care they may need. On the reservation, IHS facilities often don't have services that people elsewhere expect, such as emergency departments or MRI machines. And those limited facilities can be hours away by car. In town, reaching care is easier, but clinics also don't have enough funding to meet all of the health needs of the community. And people can't get the free medication they are entitled to through the IHS anywhere but an IHS facility. Donna Keeler is executive director at South Dakota Urban Indian Health, which has been providing health services to the American Indian population since 1977. Keeler says her clinics in Sioux Falls and Pierre receive federal grants, but that a federal prisoner has more health care funding allocated for his care than an urban American Indian does. Hoff picks up prescriptions at the Indian Health Service clinic in Wagner. The pharmacy staff member is part of the U.S. Public Health Service Commissioned Corps. In 2013, Indian Health Service spending for patient health services was $2,849 a person, compared with $7,717 for health care spending nationally, according to a report from the National Congress of American Indians. That despite the fact that Native Americans typically have more serious health problems than the general public, including higher rates of diabetes, liver disease and unintentional injuries. Keeler says most of her clients are the poorest of the poor. 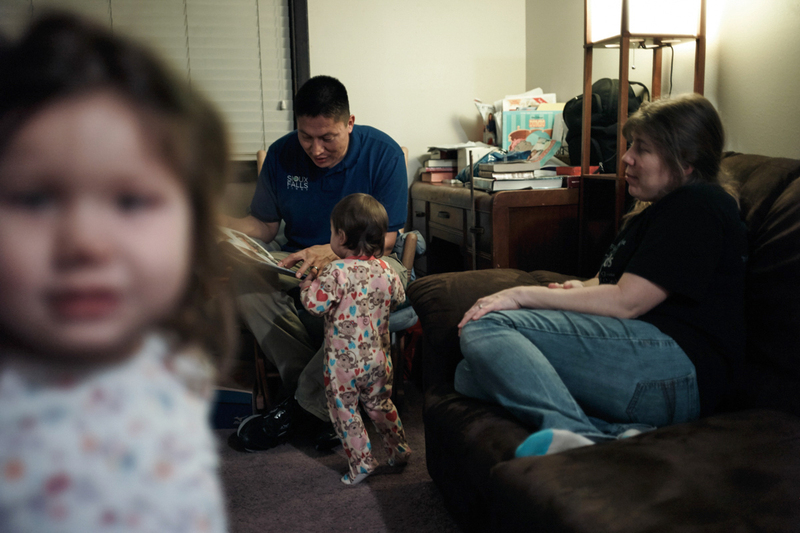 In other states, American Indians with low incomes can sign up for expanded Medicaid. But South Dakota lawmakers haven't expanded Medicaid coverage to low-income adults, leaving thousands of people, most of them urban, poor American Indians, without health coverage. Gov. Dennis Daugaard, a Republican, has left the door open to a special legislative session this year in which lawmakers could consider a Medicaid expansion proposal, but consideration of such a proposal isn't guaranteed. 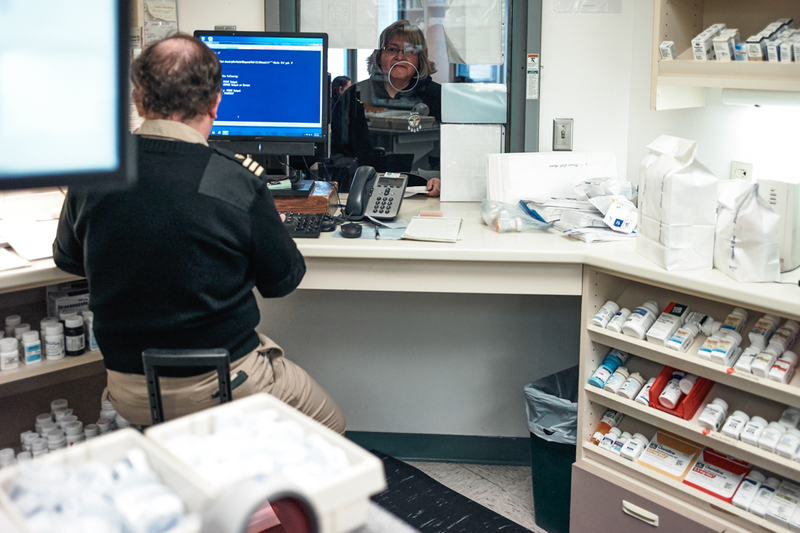 If South Dakota did expand Medicaid, it would give clinics like the one Keeler runs additional funding, since the Medicaid reimbursement rates are higher than what IHS provides. Still, even without Medicaid expansion, the Urban Indian Health clinic is an improvement for patients like Joe Marrowbone, Cody Pedersen's brother. Marrowbone moved out of Cherry Creek and off the reservation partially to get out of the cycle of poverty prevalent there, he says. It was an added bonus that access to health care for his family dramatically improved. Joe Marrowbone left the reservation and moved to Sioux Falls for a job. He and his wife, Connie, play with daughters Grace and Alicia. Living in Sioux Falls means that Marrowbone can get checkups and other health care at the Urban Indian Health clinic (right). Marrowbone works as a janitor at a religious school in Sioux Falls. The Sioux Falls Urban Indian Health clinic is much closer to his home than it would be if he lived in Cherry Creek, and there's also the option of getting care at a local hospital. As a result, the family rarely has to wait long. Instead of worrying about where his health care is coming from, Marrowbone can focus on a new goal: trying to adopt his niece, Savannah, after her mother died. Access and lack of funding are just two problems with Native Americans in South Dakota. Difficulties coordinating patient records also hamper their care. Jami Larson, 32, grew up in Pierre and is a member of the Lower Brule Sioux tribe. She is a registered nurse who specializes in diabetes care among Native Americans. Jami Larson, a registered nurse at Urban Indian Health Programs in Pierre, is frustrated that none of the systems with the Indian Health Service, tribal-run clinics or the Urban Indian Health Programs share patient data with each other. Each clinic has its own records, and patients who don't keep up with their own records often have to repeat immunizations or lab work. 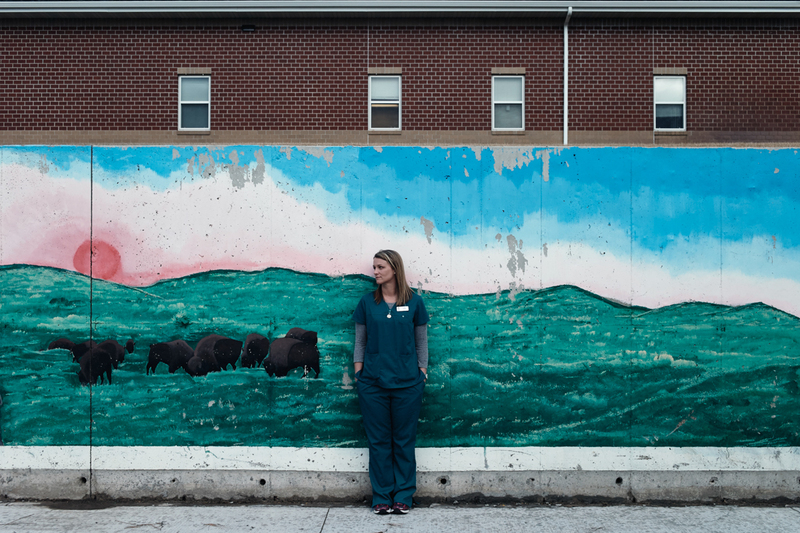 For Larson, herself an American Indian, the year and a half that she's spent as a nurse at the clinic in Pierre has allowed her to develop deep relationships with her patients. Larson goes shopping with Alan and Ruthie Marshall and explains how to choose food based on nutrition labels. Larson also uses food props to illustrate healthy choices. She says that care for them would improve if the clinics, hospitals and doctors serving American Indians worked together. For now, Larson is leaving her own mark the best she can: On many days, you can find her visiting patients to make sure they're on track, or going food shopping with some to help them get food that will keep them as healthy as possible. This story and photo essay were produced through a collaboration between Kaiser Health News and NPR. Photographer Misha Friedman says he tries "looking beyond the facts, searching for causes, and asking complex and difficult questions." His work has been featured by many media organizations, including NPR, The New Yorker, Sports Illustrated, Der Spiegel and GQ. Kaiser's Andrew Villegas contributed to this report.